Find a country cottage for a peaceful or romantic holiday or short break in the lovely county of Suffolk. A selection of country cottages in Suffolk is listed below or Use the Search Assistant to find a self catering holiday cottage matching your criteria.Suffolk is a peaceful rural county, with gentle endlessly rolling farmland and a superb coastline dotted with picturesque harbours and beaches. 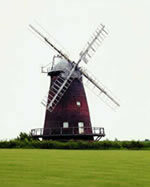 It has some of England's best examples of small medieval towns, country churches, moated farmhouses, mills and castles. Lavenham is probably the best example of a medieval town which originally built its wealth on the cloth and wool trade. Today, you will find pretty colour-washed, pargeted and half-timbered buildings in charming villages and market towns, pubs with good traditional English food. Other medieval towns worth visiting are those of: Long Melford, Hadleigh, Boxford, Bildeston, Clare, Cavendish, Kersey, Monks Eleigh and Thaxted.Dedham is another gorgeous Suffolk country town, take a visit and step back in time. Enjoy a break for a cup of tea and visit the art gallery. This part of the country is known for its beauty and is part of Constable Country. Don't forget that not only does Suffolk have beautiful countryside that has inspired famous artists but Suffolk also has an appealing coastline. Woodbridge is near the Suffolk coast and is an attractive market town to visit or take a break in. Book a gorgeous rural reatreat in Suffolk that allows dogs to stay and you have the makings of one of the best self-catering holidays ever. This East Anglian county has an eclectic mix of features that turn an ordinary cottage break into something extrirdinary. Centuries of quality have created handsome buildings, fine inns, interesting places to visit with a generous sprinkling of antiques. Take a look at dogs welcome coastal cottages in Suffolk and discover a coastline studded with nature reserves, beaches, marinas and seaside towns. If you are not concerned about renting a dog-friendly holiday cottage and need a holiday home that has two bedrooms and can sleep up to four people, then do take a look at 2 bedroom cottages on the Suffolk coast. 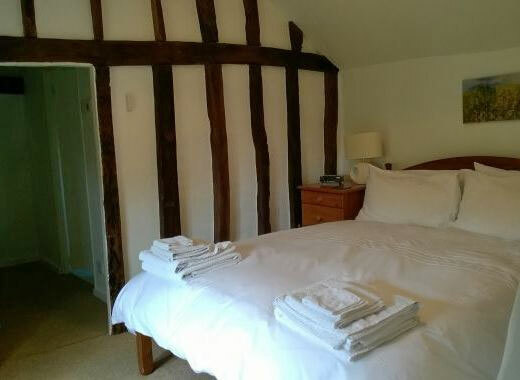 The Tallow factory is a beautiful 16th century timber-framed cottage in the heart of Dedham village with a wealth of exposed beams and period features. 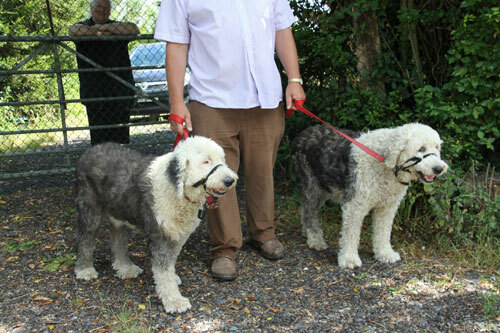 It was featured in a BBC programme on holiday cottages in England. Downstairs there is a spacious dining/ living room with a stereo system and working fireplace. Adjoining is a beautiful wooden kitchen fully equipped with all modern appliances including microwave and dishwasher. This leads to another comfortable lounge area with TV & video, opening on to a garden. Upstairs there are 5 bedrooms (3 double, 2 twin) to sleep up to 10, and two bathrooms fitted with bath and shower. Laundry facilities are also available. Click on this luxurious cottage to read a full description. Misletoe cottages is a charming red brick 18th century country cottage is set in pretty gardens providing a quiet and peaceful retreat for two people. 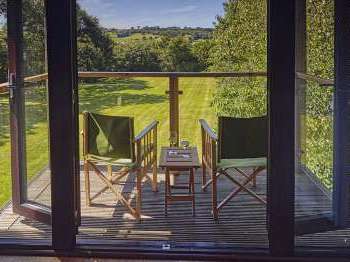 Guests can enjoy use of your own patio, BBQ and garden furniture during a holiday. The sitting room with its traditional wood burner (all logs provided), exposed beams, and tasteful decoration create a cosy atmosphere. Quality soft furnishings provide a warm feeling giving the room the relaxed comfort and style of period living. It’s the ideal place to leave the troubles of the world behind you and simply enjoy the moment. The village of Yoxford is charming. It has anumber of colour-washed houses, pargetted houses and even a house with murals on the outside. The Suffolk coast naational nature reserve is a short drive to the east of this holiday home for two. Charming cottage in Suffolk, sleeps 2. Two dogs allowed. Queenie's cottage is in the tiny picturesque village of Snape which was featured in Jonathan Dimblebys program as one of England's best preserved Medieval Villages and is the jewel in the crown of Suffolk's Medieval villages. The cottage which dates back to the 16th Century, as can be seen by the wealth of ancient timbers, has 2 bedrooms, one double and one twin, the bathroom is modern and spacious and has a shower and a bath, there is central heating throughout and a cosy wood burning stove to enjoy in the sitting room,.... There is a pretty patio garden which catches the sun all day and has BBQ facilities. 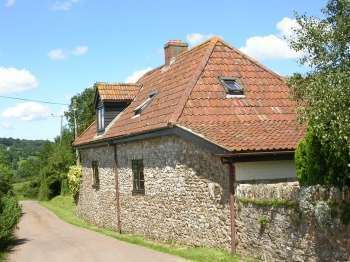 Additional beautiful country cottages are available. 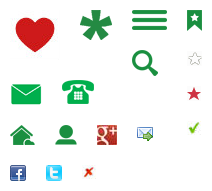 Telephone Mark on 01787 211 115 on click on the image for more details. 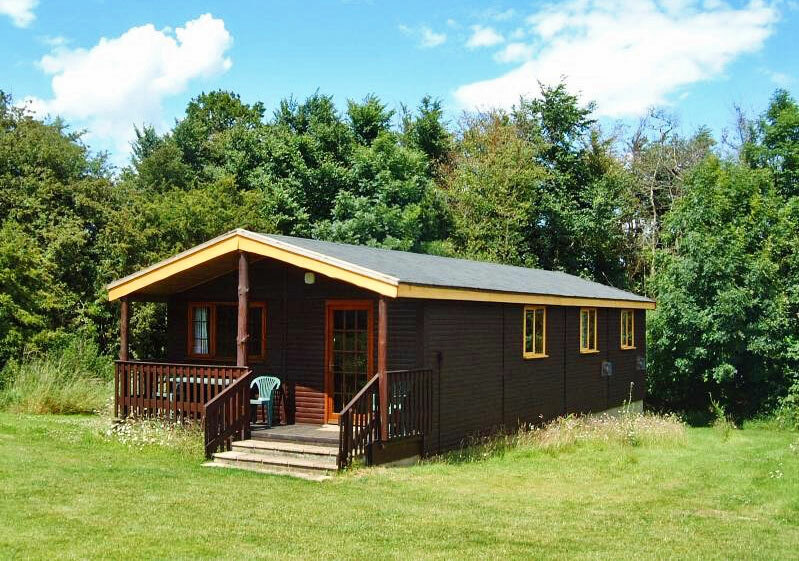 Comfortable and cosy lodges near Minsmere, Suffolk, sleep 4 If you're a nature lover, then a stay at Warren Lodges on the edge of the Minsmere Marshes will be a real treat for you. These timber lodges are equipped to ensure a comfortable stay at any time of year. Marsh harriers, barn owls kestrels and sparrow hawks hunt regularly over the surrounding land, skylarks and nightingales can be heard in the season, and many rare and interesting birds can be seen at the nearby RSPB Minsmere reserve. Rabbits share the hollow, and deer can sometimes be seen at dawn and dusk. Theberton village has a historic thatched church, with round tower, and two thatched cottages among its varied houses. Take a look at Warren lodges now. Large groups of up to 16 or so, are welcome. Click on the image shown to view more. Grove Farm is a spacious six bedroom farmhouse set in 1.5 acres of superb Suffolk countryside. It has two sitting rooms, an open fire, farmhouse kitchen and everything that you might wish for, for a self-catering holiday. Located near Southwold, Minsmere, and Aldeburgh, it offers opportunities for beach, walking, nature, shopping, and history. 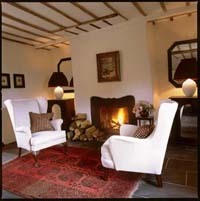 Please click on the image to view more photographs of this exquisite country cottage in Suffolk. Click on image for availability and bookings. 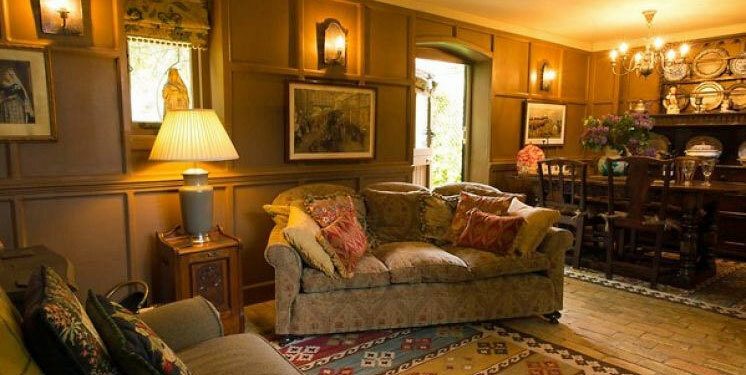 Toad Hall (sleeps 10) is a spacious grade II listed timber framed house, complete with inglenook fireplace and a wealth of exposed timbers in its interior. It is well equipped and sleeps 10 comfortably. 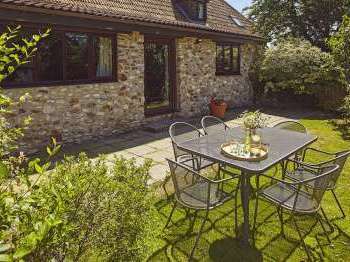 Set in two acres of garden in the beautiful Suffolk countryside, it is within two hours drive from London, near the Heritage Coast and the ancient town of Woodbridge on the River Deben with its restaurants, pubs and antique shops. Horse riding is just along the lane and golf, fishing, sailing etc. are a short drive away. 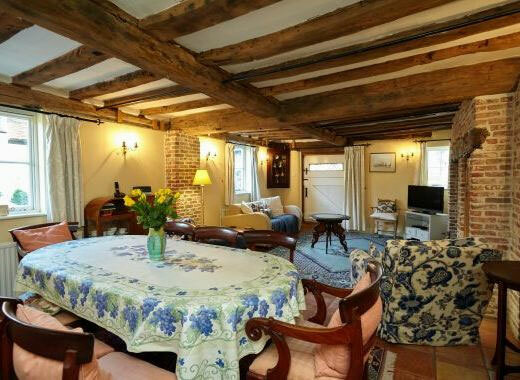 Click on the photograph for more availability of this pretty Suffolk cottage. Find a lovely place to rent for a holiday in Suffolk. There are several good quality one bedroom holiday lettings that have been decorated/ furnished to a very high standard, offering guests the opportunity to relax in quality accommodation. 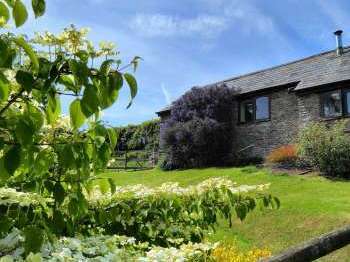 Ideal self-catering holiday cottages for adults or couples. For a more active holiday there are numerous visitor attractions near-by. Dogs are very welcome in some. All of a high standard of accommodation. Please click on the photograph to find out more about these very comfortable one bedroom country cottages in Suffolk. Comfortable cottages for your self-catering holiday.